If there was one review that I have done so far that I would want people getting into vinyl to take very seriously, this would be it. The Lounge mkIII is so much more than a phono preamp that does things right, it achieves top shelf performance using just about any moving magnet or high output moving coil cartridges out there and sounds like a million bucks. 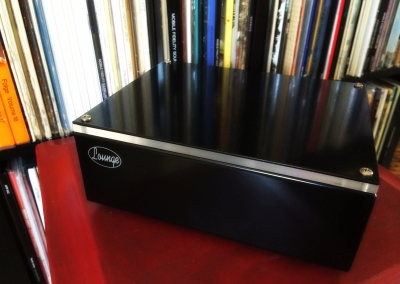 For anyone, and I mean ANYONE who wants to get into vinyl and looking for a fantastic sounding phono preamp for the cart options mentioned, this is where you should start and finish. End of story. High Resolution Samples take a moment to load, now is a good time to exercise patience. The LCR MKIII is a high quality, dual-mono, pure analog phonograph preamp. This topology allows a unique application of smaller inductors that yields an ergonomic approach to LCR (L=Inductor, C=Capacitor, R=Resistor) phonograph reproduction. Vinyl minded audiophiles are growing in numbers with collectable, vintage releases often bettering the best digital formats and new vinyl issues being added to catalogs with increasing frequency. 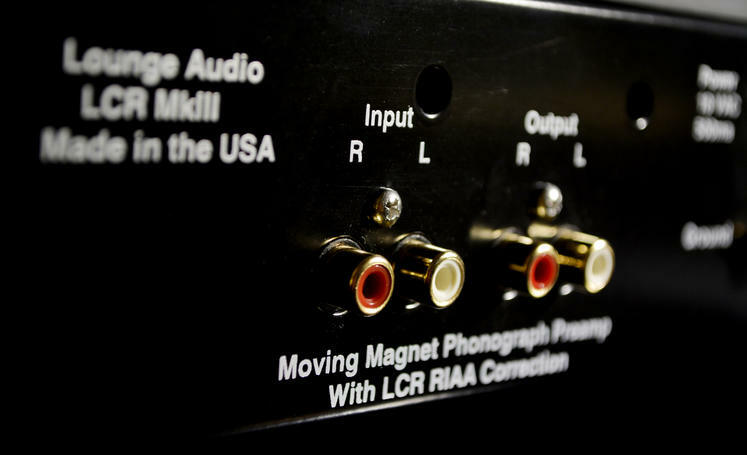 It is known by many in the audio community that LCR RIAA correction is a preferred way of capturing the experience and atmosphere of the original performance. The passive LCR network is a topology that brings out the detail of small instrument inflections yet keeps a musical cohesiveness in context of the performance and room. Advanced hi-speed op-amps allow for transformerless direct drive of the LCR network. Current sources are employed to bias each amplifier stage into class A operation. 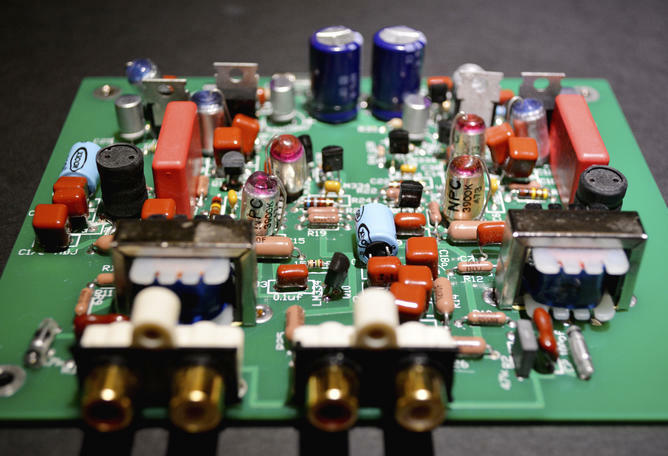 The LT1358 op-amp is still made in a through-hole package allowing this preamp to be made with no surface mount parts. One set of dedicated inputs allow for the simplest path to the op-amp input. There are no switches between your cartridge and the amplifier. Discrete series/shunt power supply regulators are used with one dedicated to each amplifier IC power supply pin. Also for ease of current delivery the pass element of the series regulator is vastly over-rated in current capacity. No power supply ground shares an audio ground, and no grounds share channels. All capacitors and inductors are hand matched. All assembly is done in the USA. Each unit is tested and burned with real music coming from a real turntable. Distortion: 0.15% THD @ 0.774 vrms 1khz output. Composed entirely of 2nd and 4th harmonics. AC Adapter: 120VAC 60hz, 18VAC, 500ma Wall Cube type. Back in 2012 I read a review by Tone Audio Magazine that celebrated in an earlier version of the Lounge. The truth is, that review was enough to make me wonder just how good this little preamp could be and with the improvements that Robert Morin has made in the mark III design, that curiosity turned into an email and a review unit waiting patiently on my doorstep. Besides, for $300 bucks and never hearing an LCR equalization network, I knew this was going to be interesting. For those new to the phonograph game, welcome aboard and let me briefly explain some basics before we continue. 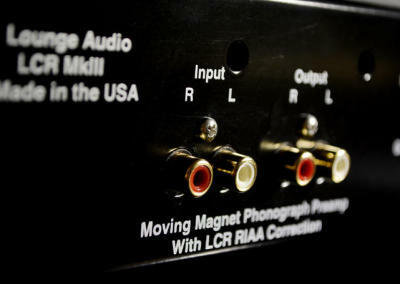 During the record making process, the high frequencies or treble is boosted and the bass is attenuated or for lack of a better term “reduced.” Essentially, the “job” of a phono preamp using whatever method of RIAA or equalization is to correct this and level things back out for the most accurate music reproduction possible. 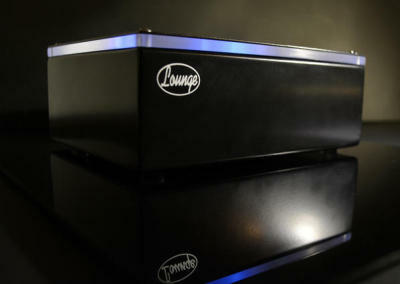 The Lounge phono preamplifier is using an LCR or inductor, capacitor, resistor network to accomplish this and while its certainly not a common method, I’m gonna be the first to vouch that in the right hands this network sounds just plain fantastic. 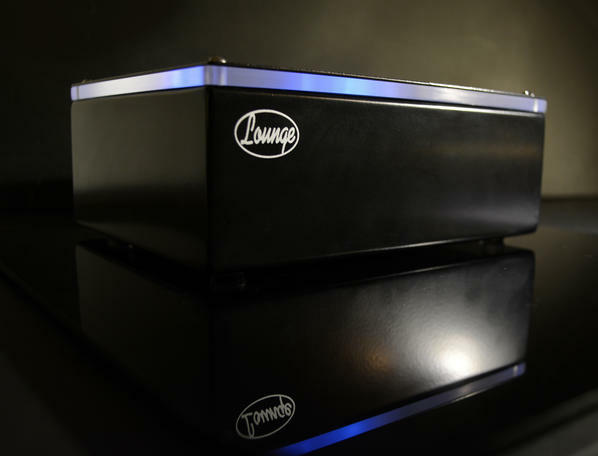 Jumping into specifics the lounge mkIII is a dual mono, 100% analog phono preamplifier that uses high speed op-amps which allow a transformerless direct drive of the LCR network. 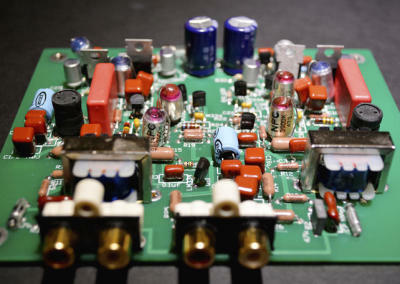 Current sources are used to bias each amplifier stage into a class A operation. Getting more specific about the opamp being used, Rob is using the LT1358 opamp as its though-hole package allows the preamp to be made with no surface mount parts. One set of dedicated inputs allow for the simplest path to the op-amp input and there are switches between your cartridge and the amp. Discrete series/shunt power supply regulators are used with one dedicated to each amplifier IC power supply pin. Also for ease of current delivery the pass element of the series regulator is vastly over-rated in current capacity. No power supply ground shares an audio ground, and no grounds share channels. All capacitors and inductors are hand matched. Let me say that again for those that weren’t listening… each and every single inductor is matched by Rob to avoid inconsistenct variables to get in the way of your music… And folks, thats never a bad thing now is it? Gain for the lounge comes in at a moderate 40 decibels which is a number I like to see when we start talking about moving magnet phonos. All to often I see manufactors creeping up into the high 40s which in my experience is overkill and limits your choices when picking the right cartridge for the job. Having used both my 2m red and my sumiko #2 I can tell you with great confidence that any high output moving coil or moving magnet in the milivolt ranges between 2 and 6 will match perfectly with this preamp. Input capacitance is set to 100pf which again in my listening sessions, proved to work just fine with the carts in house. Rounded things off nicely, Rob uses high quality low noise dale resistors in the critical path positions and film capacitors in the audio path. For cartridge loading he’s using polystyrene foil and mica capacitors along with bulk foil resistors. 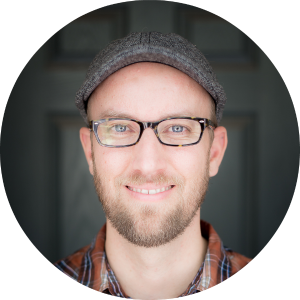 Bottom line folks… the question is not whether Rob cares about the product he’s making… it’s whether or not he knows what he’s doing and if his hard work paid off. 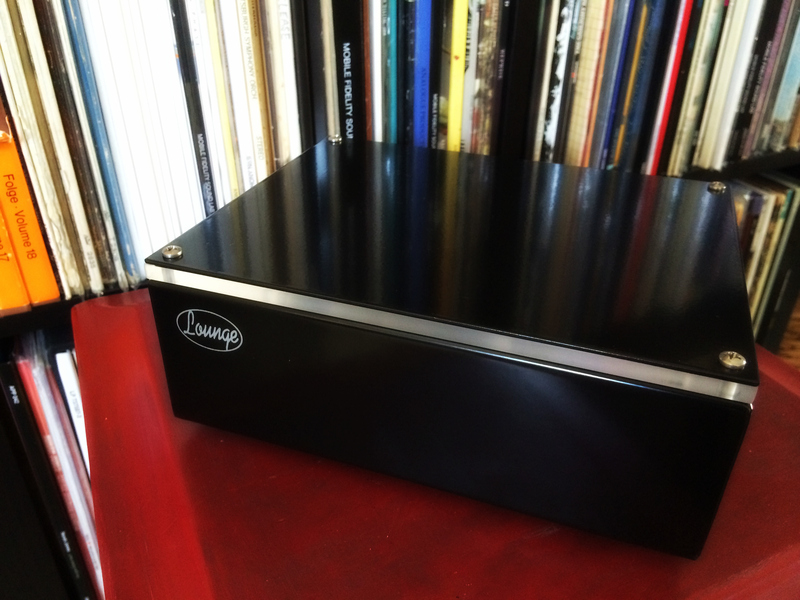 Since Tone Audio already did the hard work for me when comparing the lounge to the usual suspects of phono preamps in the $2-500 range and to quote them was “miles ahead in every way” I thought ok… lets see if this phono preamp has what it takes to pick a serious fight with something far more capable… hmmm, how about a $3800 pass labs XP15? That should do the trick! Tossing on my go to records starting with Eric Clapton’s Unplugged I sat back and relaxed and listened to the entire record and when I wad done, I started the record over again because what I heard in front of me was far more than just a phono preamp doing something right, I heard music that inspired a connection. Top end extension was clear as a bell and liquid. Acoustic guitars had body and snap and percussion on the recording came to the show with dynamics that most integrated or cheap phono preamps couldn’t possibly pretend to get right even on a good day. Soundstage was not only wide and deep but it was inviting and 3 dimensional and nothing I heard was “in my face” or sounded like a front row wall of noise. No make no mistake here folks, regardless of the price of admission, this little lounge was picking a serious fight and when it throws punches, you better take it seriously. I recently borrowed Metallica’s black album cut by Chris Bellman from a friend which I knew if I was gonna see some glaring weakness in the lounge, this album would help me get there fast. Listening to the opening track enter sandman and hearing that timeless bomb dropping intro I knew right then and there that we had a problem… a big problem. The lounge was a better match with the 2M red than my very own pass XP15. Now before I lose all credibility as a reviewer let me explain myself. I didn’t say the lounge is better than the pass, I said it wasn’t as good of match for the cartridge. With the lounge, the good and bad you get with the 2M Red is delivered with a sense of forgiveness than the pass simply doesn’t do. With the XP15 the top end of the guitars and drums can sound edgy and even shrill. So folk class is in session and I am about to say something you won’t find in most puff piece reviews… if moving magnet carts are were you want you stay and you wanna save some money… I just saved you somewhere in the ballpark of 3 thousand bucks. You can thank me later by sending a donation. comparisons made with the lounge were the built in phono section of circa 1990s Onkyo tvsv454 and an older thrift store find Pioneer sa420. In both cases the lounge edged out in the lead in all areas especially in top end extension. Throwing into the mix the upcoming VPI Nomads built in phono section, the Lounge continued to impress when comparing detail, resolution and and a much more accurate representation of top end extension. Ill be posting some high resolution files for you to check out on the review page very soon. This will give you an idea what to expect and what I was hearing and judge for yourself. Midrange on the lounge reminded me of the previously reviewed Lehmann black cube statement but if pressed to ask for a preference id have to say the lounge. While I don’t have a direct comparison on hand I think the lounge sounds slightly more detailed and focused which tends to be what I’m looking for when I’m picking gear. Vocals come through with clarity and easily cut through the mix with authority. Bass and dynamics are equally satisfying and had enough slam to convince me that anyone picking up the lounge would enjoy what it has to offer regardless of music selection. Listening to the horrible crows record I was impressed in just how real the drums sounded and the lowest of low kick drums included enough detail to keep me coming back for more. While the pass labs XP15 certainly reaches lower, you would need to have speakers that are capable of digging into subwoofer territory to know what you might be missing out on. Soundstage was both wide and deep and what stood out the most was the laser line separation of each instrument. While I tend to think this is attributed the top end extension of the lounge it goes to show how these qualities go hand in hand. All in all folks, the lounge audio is one of those products that makes me wonder why its not being discussed a LOT more and being taken as a very serious contender to much more costly preamps. I cannot fathom any other phono under $500 beating the lounge by a large enough margin that would make me even consider spending the extra money. Granted, for the audiophile who want the flexibility of going moving coil, the deal is off the table. But for music lovers who wanna stick with moving magnet and be done with it… look no further and get the lounge. You will thank me later.